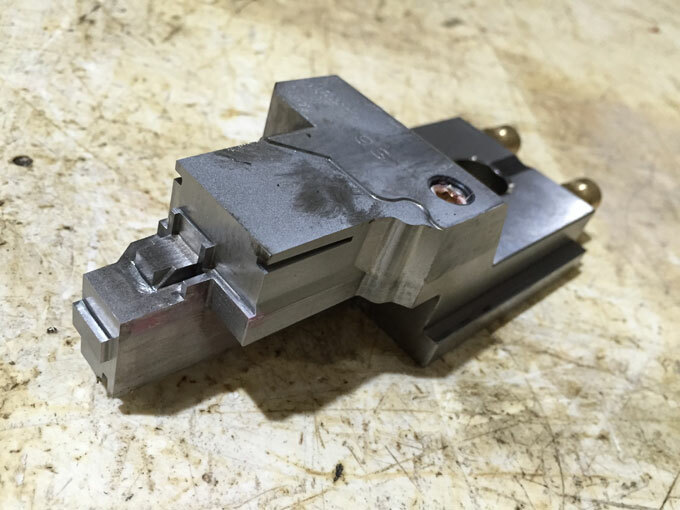 Based on years of experience in injection mold design and mold trial, this article briefly introduces several design of air vent. (5) When the exhaust is extremely difficult, adopt the inlaid structure. If some dead angles of mold are not easy to setting the air venting, under the premise of not affecting the appearance and precision of the product, the mold can be appropriately changed into inlaid processing. Not only is it beneficial to process the air venting, but it can also improve the original processing difficulty and facilitate maintenance. There are many methods for exhausting, but each method must ensure that the size of air vent should be designed to prevent the material from overflowing into the groove while it is venting. Secondly, it must be designed to prevent blocking. Therefore, measuring from the inner surface of cavity to the outer edge of cavity, if the air vent of length is higher than 6-12 mm, its height should be reduce about 0.25-0.4 mm. In addition, it is harmful to have too many air vents. This is because if the clamping force acting on the unvented portion of the cavity parting surface is large, it is easy to cause cold flow or cracking of the cavity material, which is very dangerous. In addition to setting air vent on the parting surface, it is also possible to set air vent at the end of the molten flow of the gating system, and leaving gap around the ejector rod to achieve exhaust. Because that if the depth, width and position of air vent is unsuited, generated flash and burrs will affect the aesthetics and precision of molded product. (2) Shot blasting of the parting surface of the parting surface with a silicon carbide abrasive having a particle size of 200#. In addition, setting air vent at the end of the gating system, mainly referring to the air vent at the end position of branch runner, and the width should be equal to the width of branch runner, and the height varies depending on the material. Exhaust of thermoset materials is more important than that of thermoplastic materials. All the branch runners in front of the gate should have air vents. The width of air vent should be equal to the width of branch runner, and the height is 0.12 mm. Air vents should be placed around the cavity. Each air vent should be 25mm apart, 6.5mm wide and 0.075-0.16mm high, depending on the fluidity of material. Softer materials should take lower values. The ejector rod should be enlarged as much as possible, and in most cases, 3-4 high-0.05mm planes should be ground on the cylindrical surface of the ejector rod. The direction of the wear scar should be along the length of the ejector rod. Grinding is carried out using a finer grinding wheel. The end face of the ejector rod should be ground to a chamfer of 0.12 mm. So that if there is flash, it will adhere to the injection molded part. Appropriate setting of air vent can greatly reduce the injection pressure, injection time, pressure holding time and clamping force, that make injection molding get easy from difficult, thereby improving production efficiency, reducing production costs, and reducing the energy consumption of injection molding machine.